Greathomes.org® Mobile Real Estate brings the most accurate and up-to-date real estate information right to your iPad! With Greathomes.org® Mobile Real Estate, you have access to all homes for sale and MLS listings throughout Marin, Sonoma, Napa, Solano and Mendocino Counties. 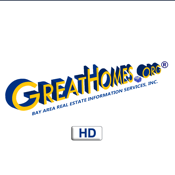 Greathomes.org® Mobile Real Estate is powered by the Official MLS for Marin, Sonoma, Napa, Solano, and Mendocino Counties. If you have questions or want a tour of the home for sale, press the “Contact” feature to email the Listing Agent.